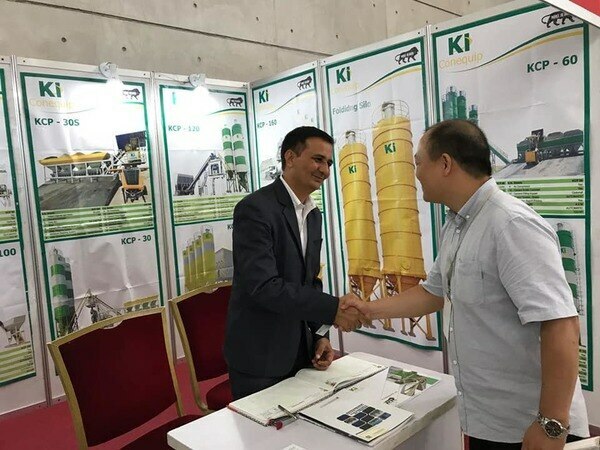 KI CONEQUIP offers Total Solution of Concrete Batching Plant through its single most comprehensive and innovative range of in-house designed products through its best team of technocrats. Our constant focus on research has led us to provide a variety of high quality, innovative equipments & systems for material handling products in various industries. 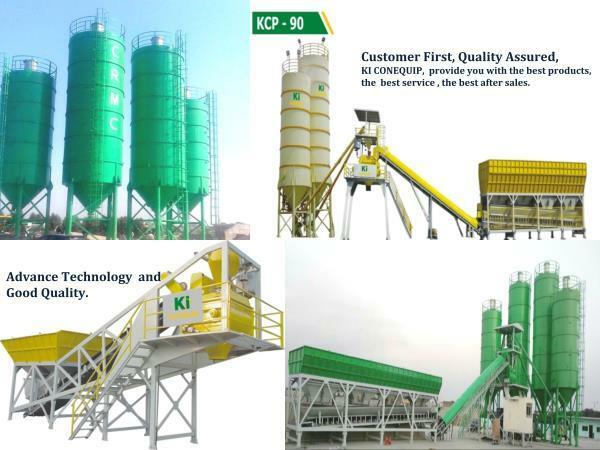 KI CONEQUIP specializes in design and manufacture of granulation & material handling systems and support equipment for conveying of dry materials. KI CONEQUIP has specialized in offering a one stop customized solution to customers in the fields of process equipments, bulk material handling, PLC automation systems and automated material handling equipment. Best industrial and engineering practices are applied in all the projects. Specialization KI CONEQUIP since its inception has inherited a deep rooted value system which is inculcated in each of its members that are reflected in their day to day life. Stretching, setting aggressive goals, rewarding progress, yet understanding accountability & commitment. Having enormous energy & the ability to energize others. Living quality, driving cost & speed for competitive advantage. Being open to ideas from anywhere & committed to work things out. Seeing changes as opportunities. Maximizing performance & maintaining results. Technical Services After consultation with a customer to arrive at system design and equipment specifications, customer's materials can be tested for flow characteristics and other qualities under simulated conditions in the company's well-equipped test laboratory. Equipment designs are rendered on CAD. Drawings can be provided on Disk. Complete installation, startup, operator training and follow-up support are offered. Our Service: To respond you within 24 hours We are passionate about extraordinary customer service. We provide complete support to our customers regardless of the age of their machines and where they are located. All technology updates will be fully retrofit table / replaceable onto existing machines to extend the life and investment of our customers' equipment. The heart of our commitment flows from our highly skilled people dedicated to the design, manufacture, sales and service of machineries. We provide the resources and working conditions to encourage the growth and development of every employee, so our employees, in turn, offer their full commitment and talent serving our customers. 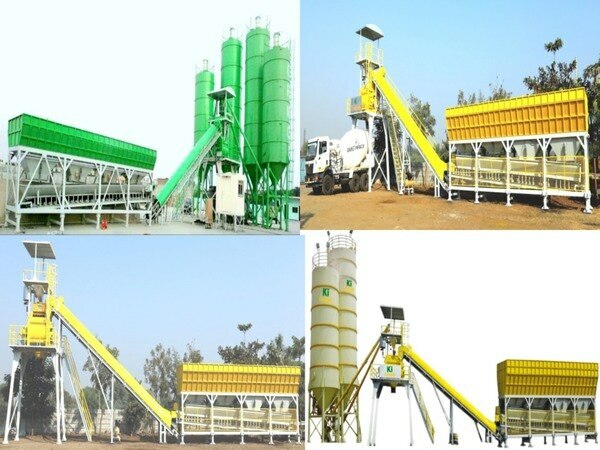 We are leading manufacturer, exporter and supplier of wide range of concrete batching plants. You have ever seen a big machinery plants on construction sites. Do you really know the name of that plant and why it is used for? 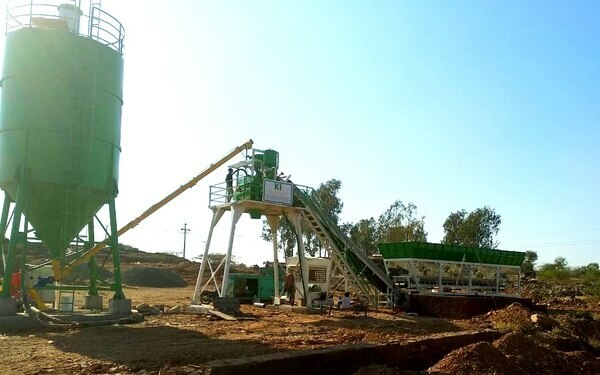 That’s called as a concrete batching plant. It’s a machine which mixes the various construction elements like sand, aggregates, water, additives and cement. These ingredients are weighed individually first & then mixed in this machine. These materials are widely used for various kinds of construction plants. The mixing of each component is by weight but still, it’s possible to change & alter the measurement of distinct materials to keep ready different grade or a quality of concrete. Most of the grades of the concrete for our country India are as 1:2:4, 1:3:6, 1:1:2 etc. This ratio is in terms of cement, fine & coarse aggregates. It means that the mixed material has 1 part of cement, 3 parts of fines & 6 parts of aggregates. Weight is the only proportion here. 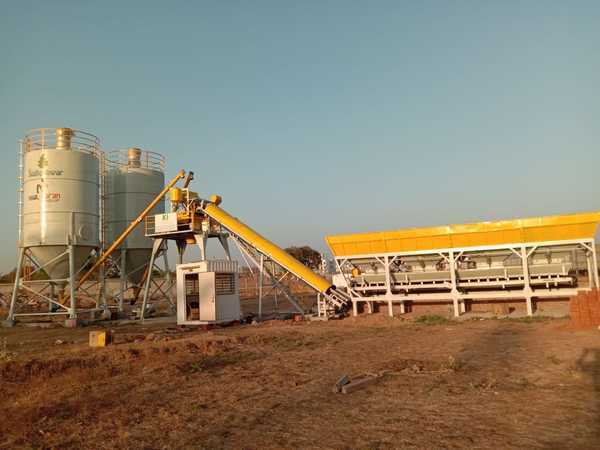 Concrete Plants Types: Dry Mix Type: As a name itself suggests that dry mix plants produce the recipes which are dry before dispatching them onto the transit mixer. All the needed materials such as sand, cement and aggregates are weighed & then inserted into the transit mixer. Water is then added into a transit mixer. The concrete is completely mixed in a mixer. Wet Mix Type: In wet mix machine, the ingredients are measured individually & then inserted into the mixing unit then the materials are mixed homogeneously and then are dispatched the same into the transit mixer or into a pumping unit. It is known as central mix plants and they provide more consistent mixture as all ingredients are combined under the computer assisted environment that makes sure the homogeneity of a product. Now it’s time to talk about the styles of a concrete batching plant. One is stationary and second one is mobile. Stationary type is used when contractors want to produce a mixture from one place only. They don’t have to change place more often. The size is bigger and takes more time to establish than the mobile type. Today, the mobile style batch plants are reliable, accurate and production too and are designed to execute for years to come. This is what you should know about the basics of Concrete Batching Plant before buying and start working with this.